Join the Fredrix revolution! 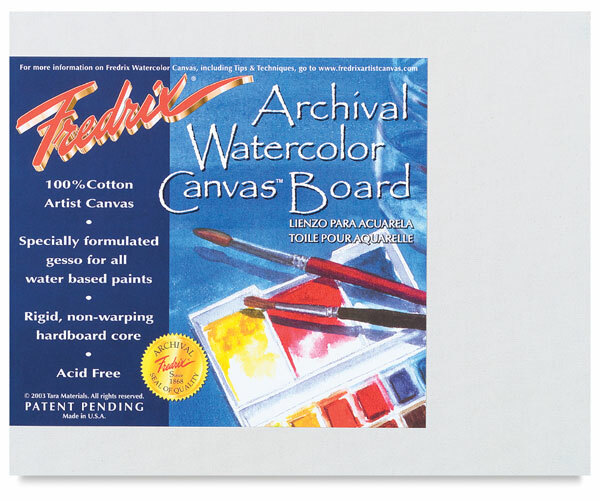 This innovative 100% cotton artist canvas combines the texture of a natural, woven fabric with a specially formulated gesso designed for all water-based paints. Exciting to create on, it delivers a unique look that can only be captured on canvas, with superb lifting ability for easy washes and corrections. It's versatile and durable too — frame it with or without glass — it won't buckle or tear like paper. Scratch or scrape it for unique effects, staple or rewet it without damaging the canvas. Archival boards are mounted on rigid, non-warping hardboard core.